New Delhi, March 28, 2017: Northern Motorsport, one of the pioneers of curating some of the most iconic motorsports events in the country like the Desert Storm rally has joined hands with Amaury Sport Organisation (ASO), the promoters of the legendary Dakar Rally, to elevate cross-country rallying to international stature. 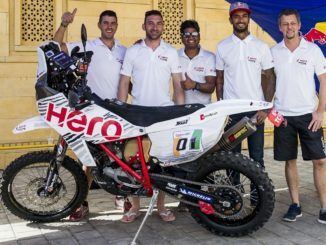 This year, India Baja, which was founded last year by Northern Motorsport, has been granted the status of Dakar Challenge by the France-based sports management organisation that also organises the Tour De France—the most followed cycling race in the world. The Dakar Challenge along with the Dakar Series serve as feeder races to the Dakar Rally, which is rated as the toughest race on the planet. The 2017 edition of India Baja, which is scheduled to be held in Jaisalmer, Rajasthan, between April 7-9 will be the first event to be run under this association. 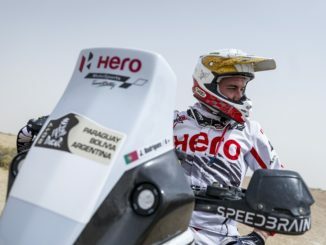 Over 70 competitors, including top riders from Hero Motosports Team Rally and TVS Racing have confirmed their participation. India Baja has been inscribed in the FIM calendar, which is the global body for governing all form of two-wheeler sports. India Baja was created in 2016 by Northern Motorsports with the aim of giving Indian riders a chance to compete at the international level. The race was conceived on the lines of the Baja races that is extremely popular in Europe. The Baja format involves racing from dawn to dusk. The tight schedule of stages and long competitive distances make it an extremely challenging format. 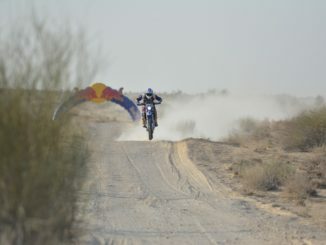 This year, the second edition of India Baja will run as Dakar Challenge event, which the property of ASO. India Baja 2017 will be run in the mighty Thar Desert on the outskirts of the golden city of Jaisalmer, Rajasthan, which has some of the biggest dunes in the country. This year, with a competitive distance of 430 km and demanding conditions in the desert with temperatures reaching in the high 40s, it will be a test of mental and physical endurance for the participants. In 2001 a team of experienced motorsport enthusiasts came together with the objective of revitalising motorsport in the region by conceiving and curating some innovative events. Today, with more than 50 events later, Northern Motorsport is considered a pioneer in its field. The club has successfully devised and conducted a wide range of events, from Sunday navigation fun rallies like the Maruti Suzuki Women’s Power Drive, Nautica Navigators and the Ford Family Challenge to extremely technical National Championship Rallies like the Rally of the North and Rally Desert Storm, which is India’s first international cross-country rally and the Indian National Autocross Championship. Northern Motorsport has worked closely with and successfully executed tailormade events for Indian corporate entities such as Maruti Udyog, Mahindra, Indian Oil, Bharat Petroleum, JK Tyres, Apollo tyres, Mobil, Fosters, Lease Plan, Ford, Nautica and MRF. The organisation is also credited with being the Indian partners for the globally acclaimed overland expedition ‘PETRONAS SOUTH ASIA EXPEDITION ‘ from KL, Malaysia through Thailand, Vietnam, China, Tibet and then into India, as well as the ‘ HIMALAYAN TRAIL 08’ driving in from Europe to Bhutan. Given the nature of the events organised by Northern Motorsports, which also promotes tourism, various state governments have actively supported the club’s endeavour. Northern Motorsport the infrastructure and manpower to design and execute most motorsport format events as well as provide backend assistance to other clubs for conducting such events. Members of the organization are formally accredited to provide technical support to the ASN of the country. Teams supported by Northern Motorsport have successfully competed in the international motorsport arena.